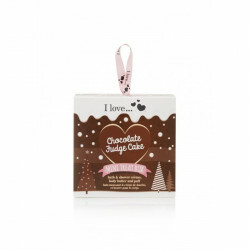 Treat someone you love to this beautiful miniature treat box. 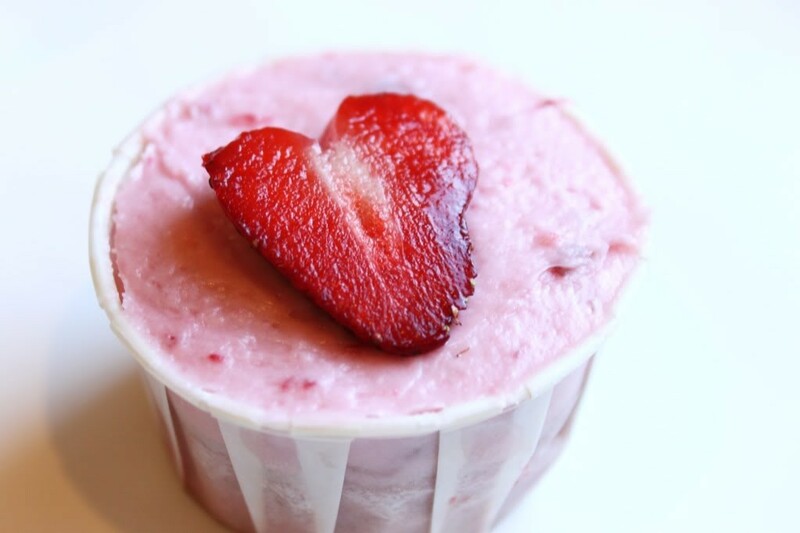 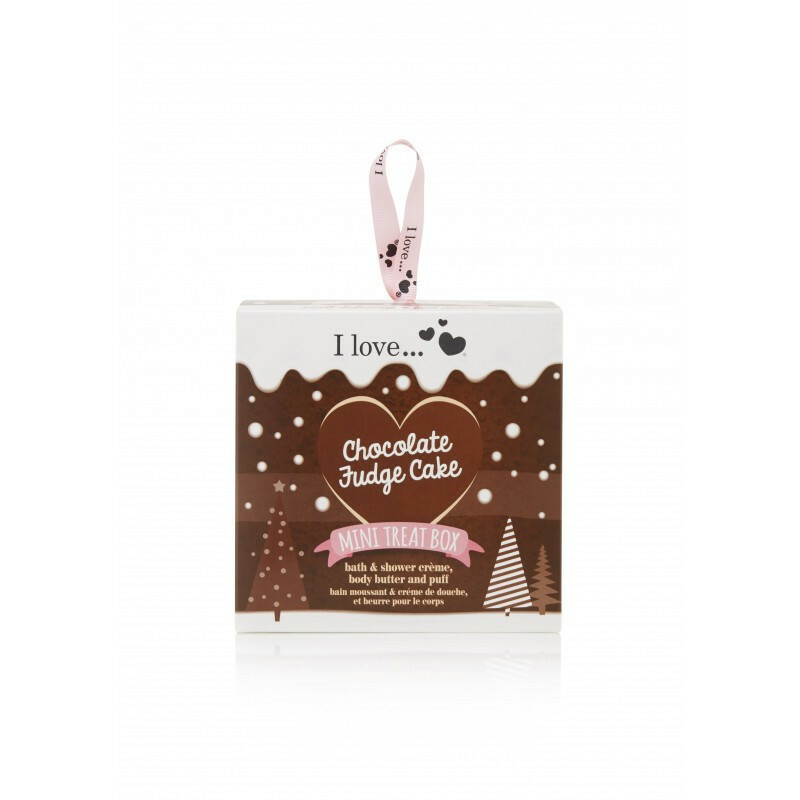 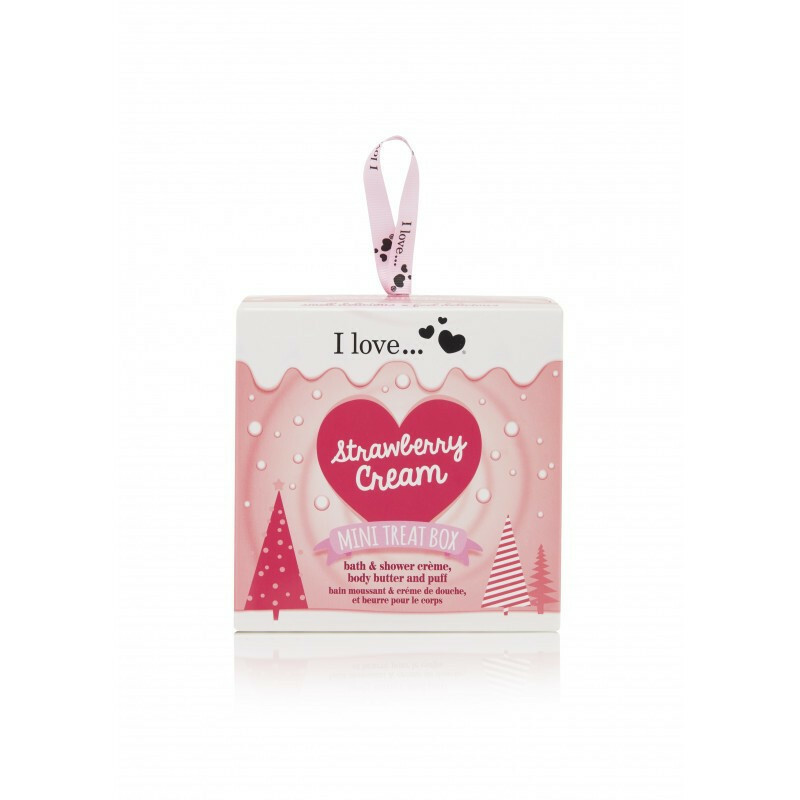 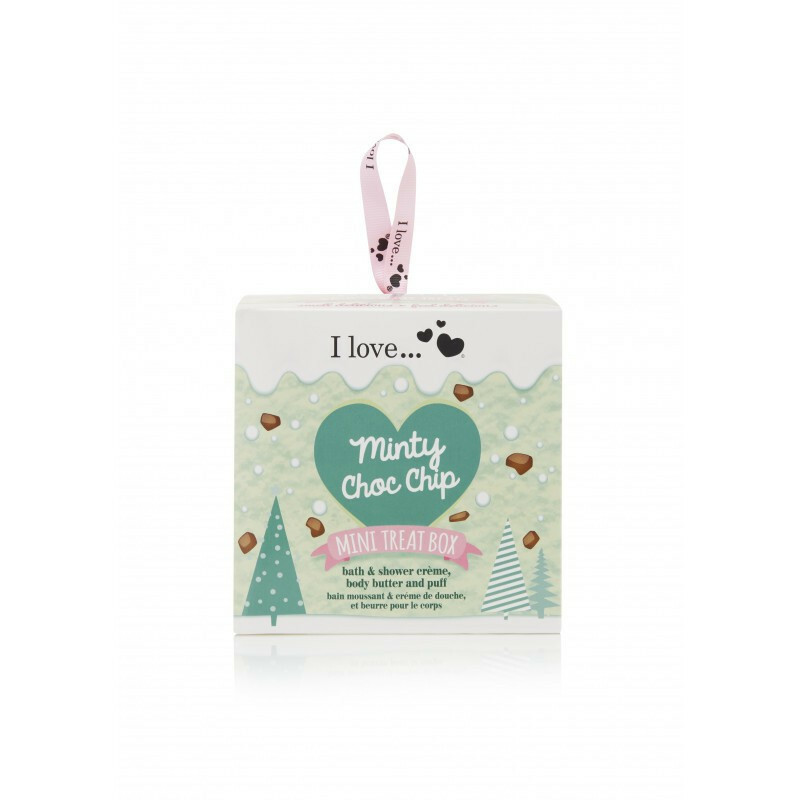 The best seller from I love…Packed with beautiful bath & body treats in I love’…s most delicious scents. Enjoy the skin-loving & vitamin packed Bubble Bath & Shower Crème & nourishing Body Butter. Each flavour will leave your skin smelling irresistible! 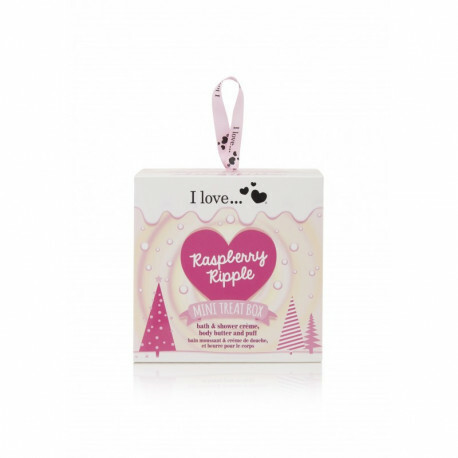 Bath & Shower Crème (100ml), Nourishing Body Butter (50ml) and beautiful Body Puff. 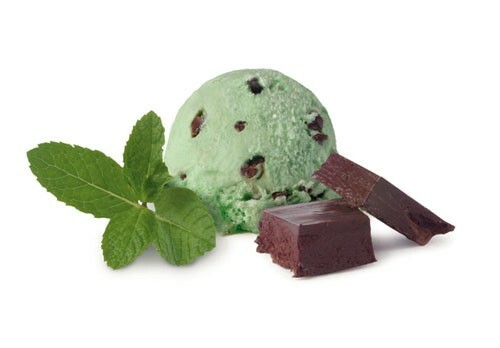 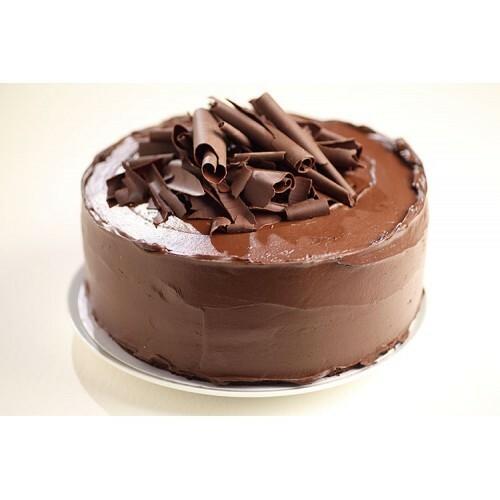 Available in 4 flavours: Chocolate Fudge Cake, Strawberry Cream, Raspberry Ripple and Minty Choc Chip.